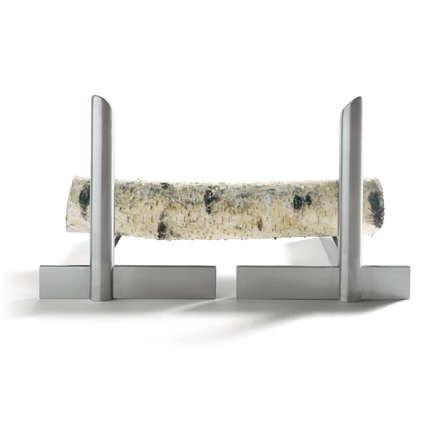 Made of sleek stainless steel, this beautiful contemporary item will enhance any space. Good looking enough to serve as a stand alone sculpture when the fire is not burning. Size: 9.6" H x 8.4" W x 14" D.
Usually ships in 1-4 weeks or sooner. About Conmoto: Conmoto � a small, German company with its HQ in an old castle in the North Rhine-Westphalia region of German produces some of the finest contemporary garden- and fireplace accessories on the market. Many of their products have received numerous awards including IF Design Award, Design Plus ISH, Form and DDC.